← Page 296/365 : …and they’re off! Back to work properly today. No hanging around and hob-nobbing with TV personalities, chilling in TV studios and quizzing. 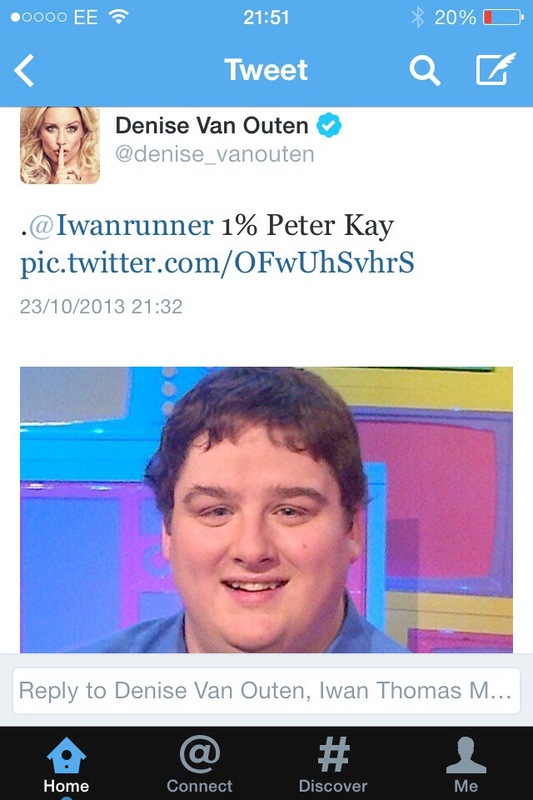 This entry was posted in 2013, 365, TV and tagged Denise Van Outen, gameshow, TV. Bookmark the permalink.